We had a great and succesfull meet at the Arnold Classic this year. If you competed congratualations, if you supported and coached thank you very much! As we look forward into the year we see some exciting things coming up! The American Open series being one of them! Here are the dates, locations, registration deadline and qualification period for the three series events. 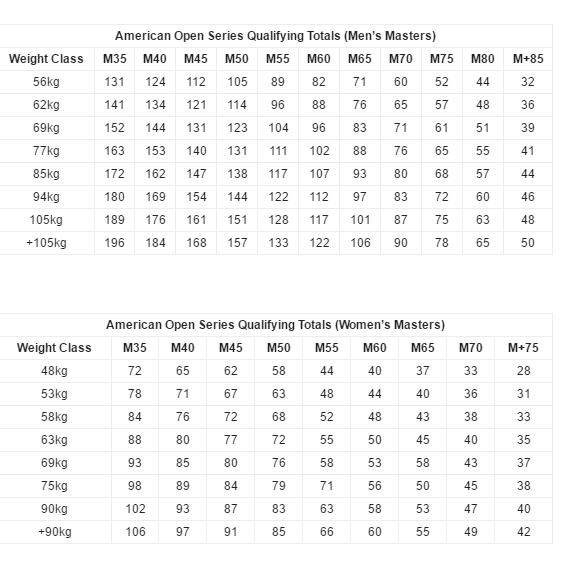 American Open Series Qualifying Totals for all three events. 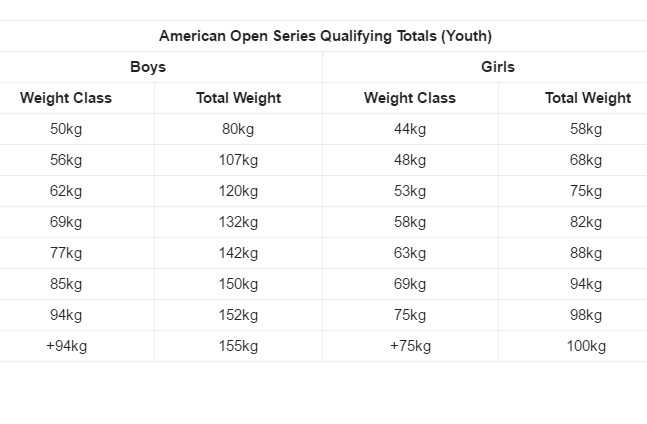 The qualifying totals shown below are not for the American Open Finals.